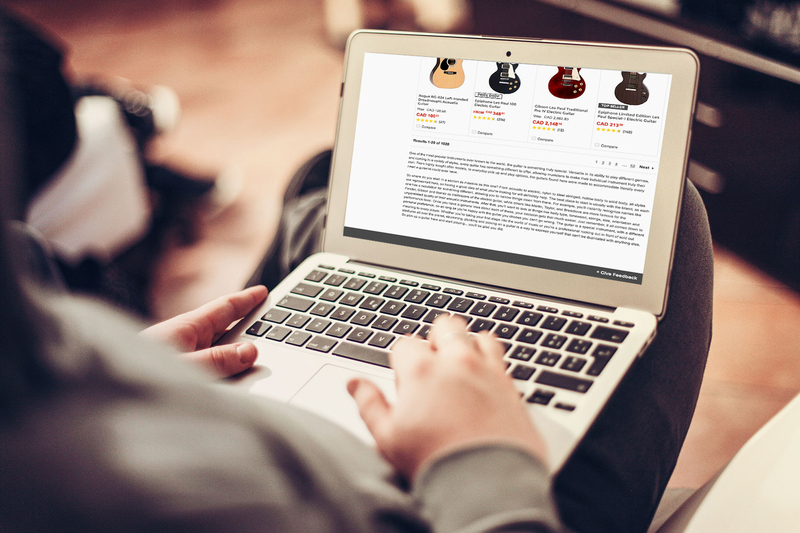 An online musical instrument retailer needed help to reinvigorate the brand voice for their online store and required assistance refreshing and optimizing their website copy. T4G now creates optimized content for the retailer and their subsidiary company, helping them remain the top online musical instrument retailer in the world. 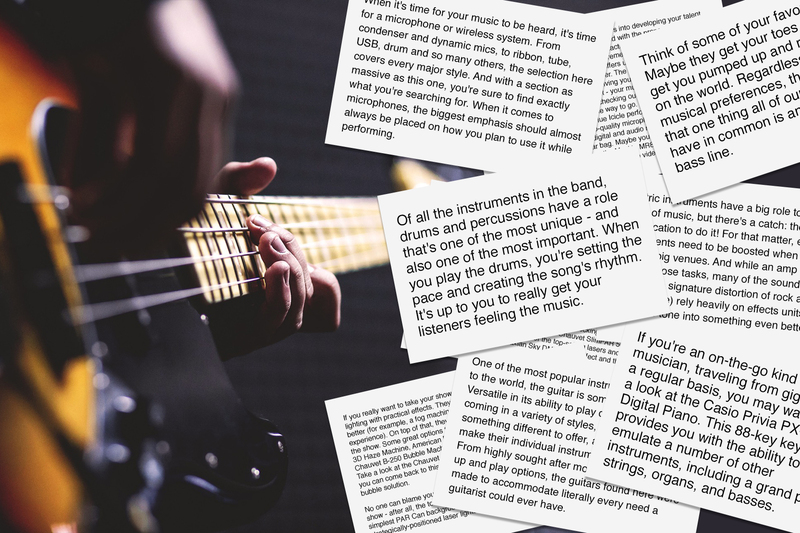 An online musical instrument retailer needed to enrich and optimize the copy on their website in a timely manner, ensuring they presented the most accurate information possible in a friendly, approachable brand voice. T4G crafted a helpful, approachable, and knowledgeable brand voice, and updated the copy on the retailer’s website to speak directly to their core audience. To continue providing their online customers with a unique and rewarding experience, it was necessary for the retailer to breathe new life into the website copy for their online store. They knew they required assistance to produce SEO-focused copy in an engaging tone that evokes the exciting feeling of playing an instrument for the first time for their online shoppers. The online musical instrument retailer requested that T4G partake in a trial to ensure the fit was right. A 250-item contract was signed and T4G began writing. During the trial period, T4G utilized a scalable team to triple the output with quality copy. When the trial concluded, T4G met with the retailer to engage a long-term contract to write their category and brand pages. T4G has been tasked with creating content and producing SEO copy for almost all the retailer’s online properties. Ensuring the online musical instrument retailer continuously reach their content goals, and doing it in a way that speaks directly to their core audience, T4G plans to help them stay the top musical instrument retailer for years to come.